What is Kinako (きな粉) ? Have you heard of ‘Kinako’? If you like Japanese sweets, Kinako is one of the ingredients you come across occasionally. It is a yellowy powder substance that is made of Soybeans. You can make it at home but I recommend to get it from a shop because it is very hard work and also it is probably much nicer, from my experience anyway. When I was a high school student our domestic science teacher made us study about certain Japanese food ingredients. My group chose ‘Dried Shiitake Mushroom’ and some other group chose ‘Kinako’. They made home-made Kinako and we tried tasting it during the class. I remember that it tasted quite the same as the one from the shop but the texture was far too dry and we felt almost like choking. So, you don’t have to try making it by yourself. Get it from a Japanese Food shop. 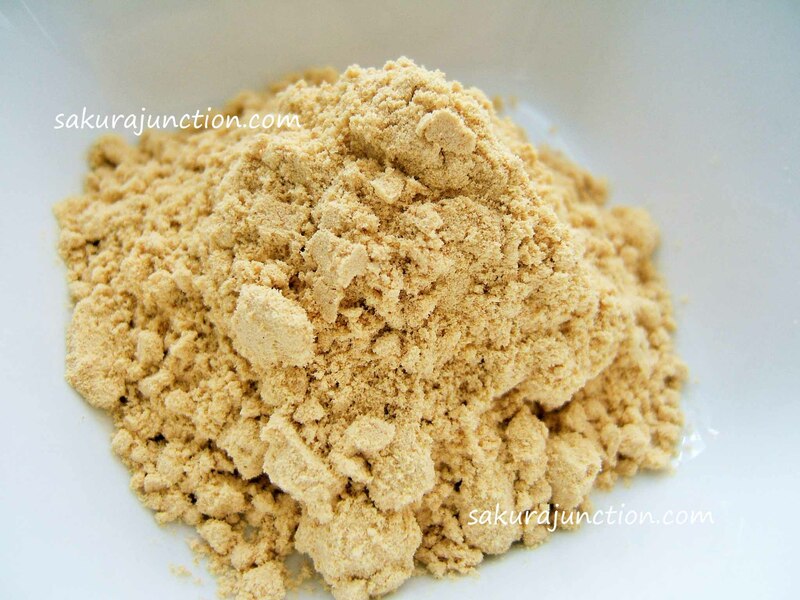 As I already mentioned ‘Kinako’ is made of Soybeans and called ‘Roasted Soybean Flour’ in English. The beans get roasted, skinned and pulverised. Soybeans are described as ‘Meat of the Fields’ because it is packed with good proteins (35%) as well as some essential Amino Acid that is mainly in meat. It also contains lots of fibre, many minerals & vitamins and isoflavones. 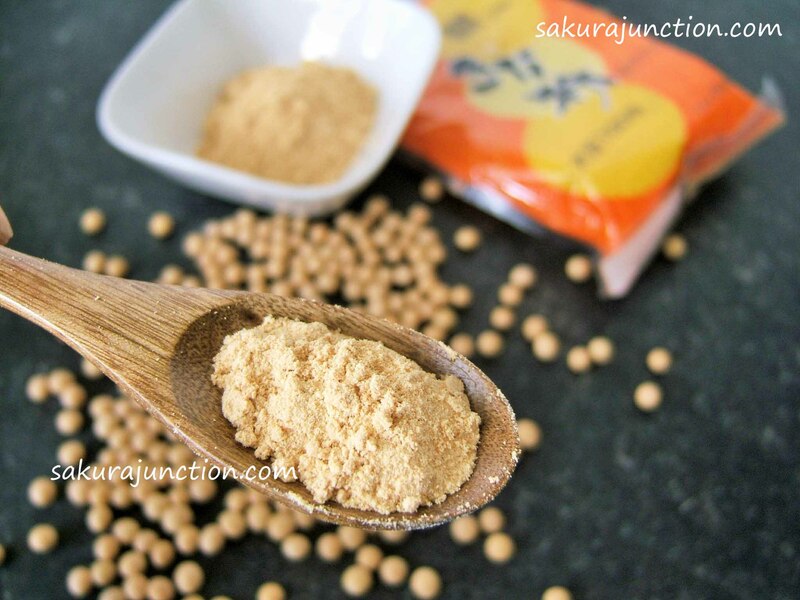 Because Kinako is in powder form, all the goodness of Soybeans get absorbed so much easier than just eating Soybeans. There is also Kinako made of Black Soybeans which contains anti-oxidant as well. The benefit of eating Kinako is not just about the nutrients. 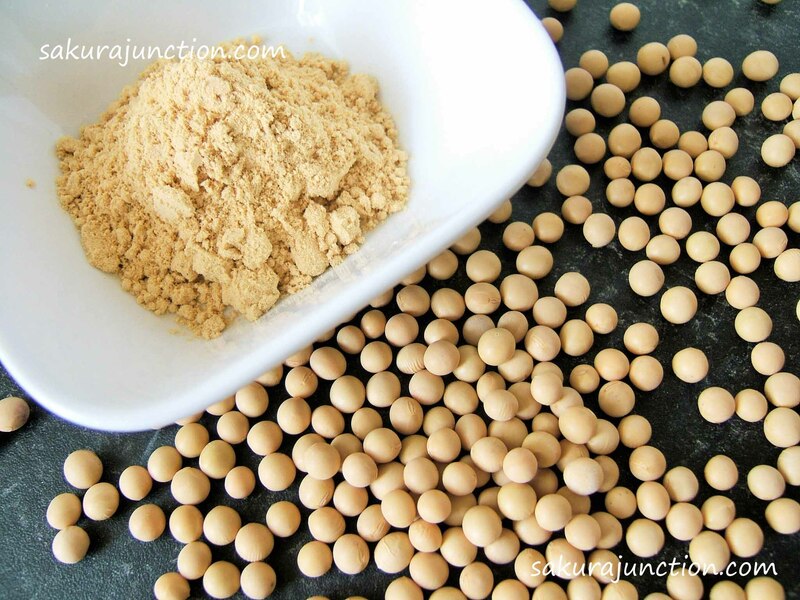 All the Soybean products have great amount of ‘Umami’ but particularly Kinako contains so much of it. Compared with ‘Miso’ Kinako has three times more Umami than Miso!! Although there are some ways of using it for savoury dish, it is still mainly used for making sweets or gets drunk by being mixed with milk. When used for Japanese sweets, it is normally mixed with some sugar and a tiny amount of salt. It goes well with ‘Mochi (Rice cake)’ and ‘An/Anko’ (sweet bean paste).